Like always we will get a rainbow gem each day we log in. 21. Dec - 24. Dec. Chance to "Rare Recruit" Christmas Bonnie and Law during this time period only! Probably even better than getting free devilfruits. Special Rate Up ! During this event you will have 4 SUREFIRE chances of playing turtletime. This means you cannot miss them because you did not wake up for your turtletime! You can choose when you want to play your own turtletimes and then play for a limited time after starting it. Just make sure that you FINISH the turtletimes before 23:59 PST. Also make sure that the phone time and date is calibrated properly to avoid sudden closing of the turtle isle. Blackbeard: Dec 29(19:00)- Dec 30(18:59). 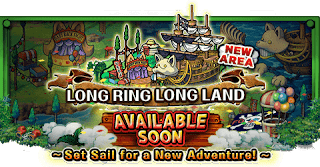 Blackbeard whose belly is hairy as monster choppers fur is a really good captain for STR teams with high stats and Unique Captain ability. 2.5x ATK and 2.25x HP, but receive 2x Damage. In the end you end up having a nice ATK boost and have a little more HP. Lowering his cooldown might be the key to defeat Doflamingo? Monster Chopper: Dec 30(19:00)- Dec 31(18:59). Monster chopper special can deal immense damage to one enemy. It is a random damage done but it has capacities to do major damage! Definitely a skill whose cooldown should be lowered. Oh? Look it's another STR type boss who is coming right before Doflamingo... they might have a use for the last boss. Donquixote Doflamingo: Dec 31(19:00)- Jan 1(18:59). Flamingo finaly arrived to global, pushing the overall meta and bring a new challenge as the most difficult raidboss for global He is definitly a MUST HAVE for a Slasher Team, but even a really NICE TO HAVE for any other team because of his awesome special boosting Orbs effects by 2x and switch twice. (More information coming with a Guide). who is good for Fighters..
May be available end of december. Let's see.. It's a Fansite! © Copyright: Content, Story,Game, Characters by www.onepiece-treasurecruise.com.. Powered by Blogger.